Kingfisher Airlines chairman Vijay Mallya on Friday told his agitating employees, who began a hunger strike, that he did not have money to clear their salary dues. "I don't have the money to pay your salary dues, because I cannot use the proceeds from the United Spirits-Diageo deal for this due to an injunction from the Karnataka High Court," Mallya reportedly told the striking employees. The employees of the grounded airline have been on a hunger-strike since Thursday at the Kingfisher House here seeking salaries which have not been paid since last August. Mallya told the employees that the airline's chief executive Sanjay Agarwal would hold meetings with them. The employees, however, said that the meetings with Mallya earlier did not yield any results and that they would continue with their hunger strike. Last November, Mallya clinched a deal with British liquor major Diageo to sell majority 53.4 % stake in United Spirits for Rs 11,166 crore. The deal also involves Mallya selling 19.3 % of his personal/promoter holding in United Spirits to Diageo for a consideration of Rs 5,742 crore. Kingfisher employees were expecting Mallya to bring in funds from the proceeds of the Diageo deal. Driven by mounting losses, the airline, which never made any profit since inception in May 2005, has remained grounded since last October and the regulator DGCA cancelled its flying licence in December. "As many as 60-70 employees are currently on an indefinite hunger strike at the Kingfisher House near the domestic airport," sources had said late on Thursday evening. Though the flamboyant chairman Vijay Mallya has been promising relaunch since February this year, nothing has happened so far. 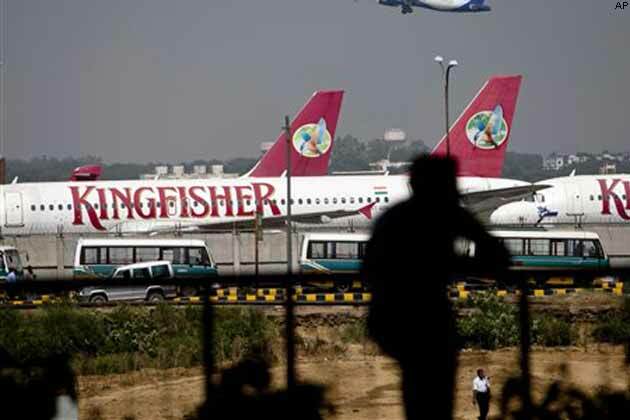 Meanwhile, the 17 lenders to the airline, which owes them nearly Rs 7,500 in principle, excluding arrears since January 2012, have sold sureties and shares of the airline as well as group companies worth around Rs 1,000 crore so far as part of their recovery process.